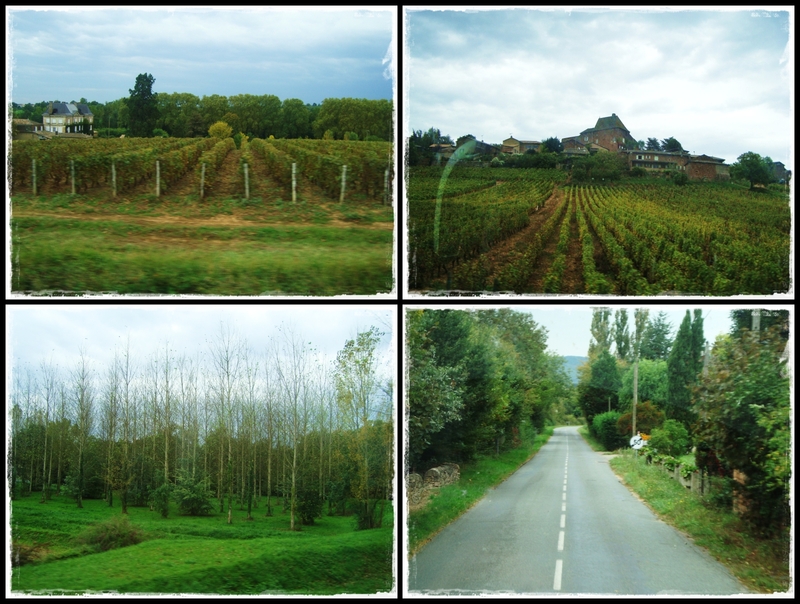 4 Oct 2010 (Mon): Long traveling day for us to travel down south in France. 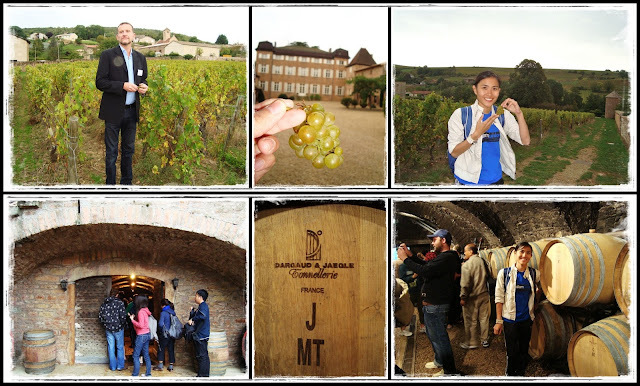 Stopped by a vineyard in the Burgundy region at noon before continuing our journey to Avignon. Our tour guides..Carl & Samie. Everyone took turns to introduce ourselves...we've got tour mates from Australia, NewZealand, US, Canada, Columbia, India, Vietnam, Philippines, Thailand, Singapore, and Malaysia. Surprisingly...there are about 10 Malaysians...lol!! 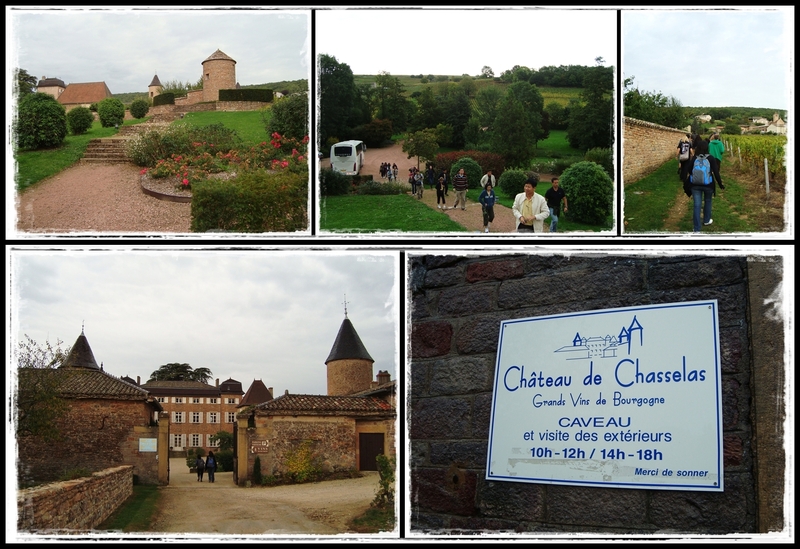 The Chateau that we visited...Chateau de Chasselas. The owner of the vineyard explained about the process of making wine...tasted some grapes...visited the wine cellar. 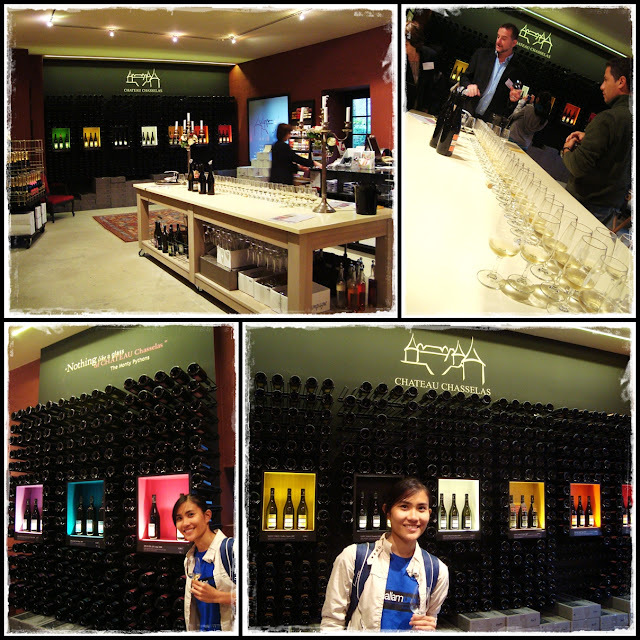 Had red wine, white wine, and sparkling wine. I had 2 of each in half an hour...that explains why I got a lil' tipsy after that...lol!! 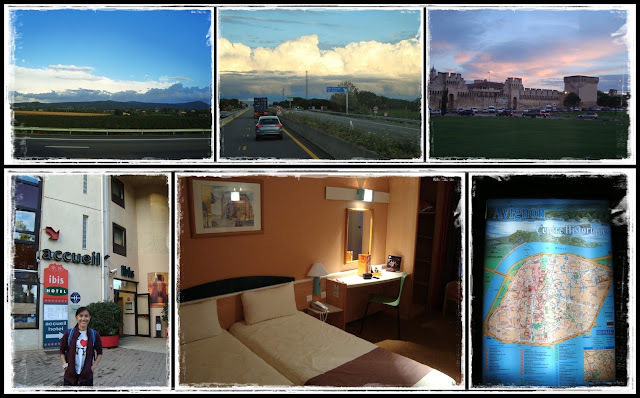 Continued our journey and arrived Avignon in the evening. Avignon is a city surrounded by walls which were used to protect the pope long time ago. 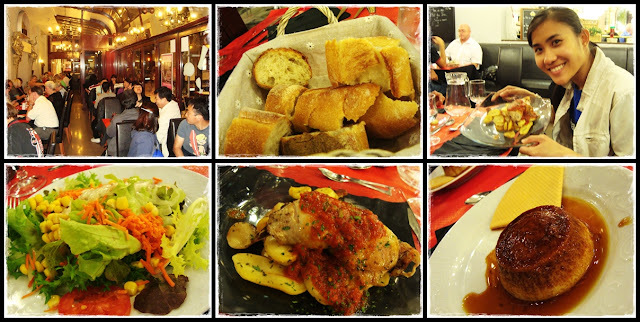 Our first French dinner at Le Cintra Restaurant. 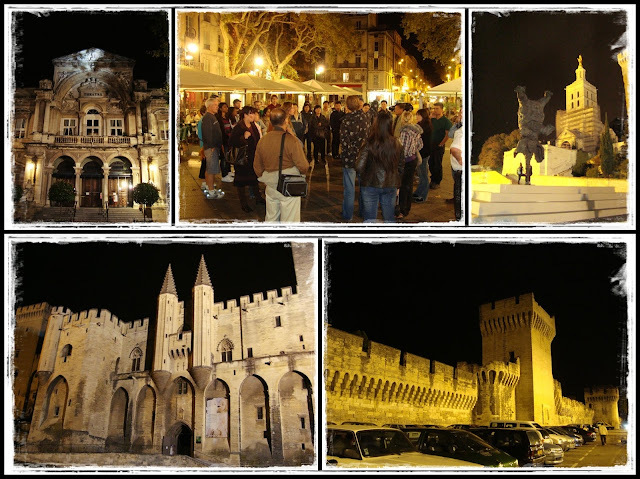 Night walking tour in Avignon. That is the Palais des Papes (Palace of the Popes).